Noordwijk, a place to fall in love with! attraction the 13 kilometer sandy beach. Also the lively boulevards, the ancient atmospheric village centre, robust dunes and forests are main attractions. Noordwijk is therefore the place to be to spend a wonderful holiday. 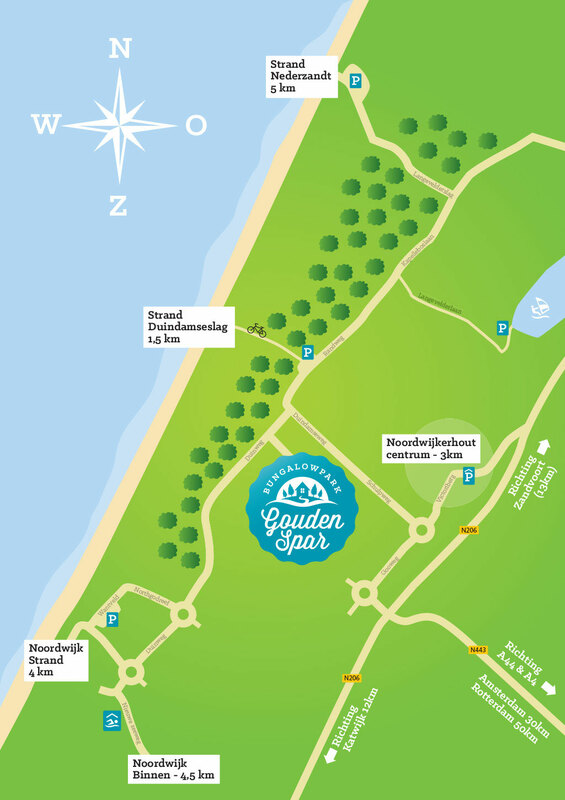 Bungalowpark Gouden Spar is situated just behind the Dutch dunes. There are several paths which will lead you to the beach (Duindamseslag). This will take you approximately 15 minutes if you walk or by bike 8 minutes. Depending on which path you take you can walk/cycle through the glorious dunes which house a wide variety of birds and animals. There is also a glorious 13 kilometre sandy beach which stretches from Noordwijk to Katwijk. In spring come and enjoy the colourful flowerbulb fields in full bloom! Noordwijk is called Flower seaside resort of Europe. Especially in this season take a walk or cycle through the fields of our lovely area. Your visit is especially recommended around the 20th of April each year when the famous flower parade starts in Noordwijk! Also Keukenhof Gardens are a must see! Visit the cities of Leiden, Haarlem and Amsterdam! Visit the cities Leiden, Haarlem and Amsterdam, all nearby, or the famous cheese markets in Gouda and Alkmaar. Enjoy the versatility of these cities and then unwind again in lovely Noordwijk! The lovely nature of Noordwijk and its surroundings invites you to go for a long walk or a cycle tour. Enjoy your cup of coffee or glass of wine in one of the various restaurants or beach clubs. The most beautiful park of the world in spring time is Keukenhof in Lisse (about 20 min. by car). The gardens are open from March 22nd until May 13th 2018. Enjoy 7 million flower bulbs in bloom! Do you want to know everything about space? Visit Space Expo in Noordwijk, where you learn all about space and famous astronauts. Also visit the many museums in Leiden and Amsterdam like Naturalis and the Rijksmuseum or Madame Tussauds. 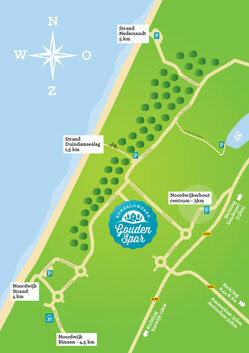 In Noordwijk and surroundings there are lots of activities. For example jazzconcerts, tourist markets, fire work shows, and flower parades. Check the website of Noordwijk Marketing!